EPIC PRIMARY CARE has served patients for more than a decade. 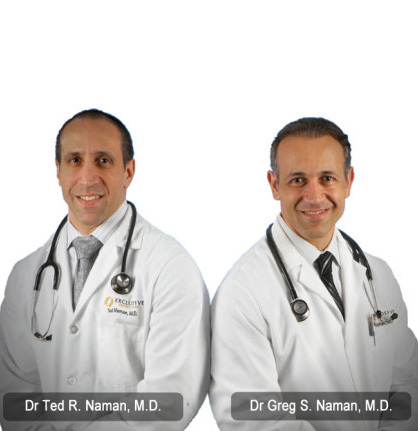 In 2000, Greg and Ted Naman finished their residencies and began their medical careers in private practice. Since then, we have grown, added clinicians, as well as a psychologist, podiatrist, exercise physiologist, physical therapist and dietitian. In 2015, we added an office at 18254 Livernois Avenue in Detroit, MI. and we are currently in the process of adding another primary care office, as well as a diagnostic center in Southfield, Michigan. EPIC PRIMARY CARE has always committed to cutting edge technology to better serve our primary care patients – we were one of the first medical practices in Michigan to adopt the use of electronic medical records in 2002. Through our growth and commitment to progress in this area, we have only become stronger and more efficient in servicing our primary care patients. EPIC PRIMARY CARE meets Meaningful Use Requirements mandated by the American Recovery and Reinvestment Act and continues to search for innovative technology and processes that can help us better meet your evolving needs. Located in Ferndale, Detroit and Southfield, and serving patients with associations across Metropolitan Detroit, we provide multiple diagnostic services at our Southfield Diagnostic Center and we work with the top regional hospitals in the area. EPIC PRIMARY CARE is always available to care for you, with extended office hours and Saturday appointments at our Ferndale office. At EPIC PRIMARY CARE, we believe doctors should work around your schedule. We offer same-day appointments and walk-ins are welcome! EPIC PRIMARY CARE promises early morning, evening, and Saturday hours. Click here to schedule an appointment now! After hours? No problem. Our 24-hour on-call system is always available to better serve your needs. patients. The EPIC PRIMARY CARE promise is to provide the highest quality care with a commitment to excellence – our physicians specialize in family practice, internal medicine, and pediatrics. We provide care for patients of all ages, from newborn to geriatric primary care. We work to manage your acute and chronic conditions, offer annual wellness exams, and provide work, school, and sports physicals. The EPIC Primary Care Office has a very cheerful atmosphere. I find the staff to be pleasant, friendly and helpful. In my opinion it takes a special doctor like Dr. Greg Naman, that when he enters the the examination room,—he greets me with a smiling face. When he does, he almost makes me forget how bad I really feel. Sometimes — “A Smile A Day” can be the Best Medicine. He is truly a blessing to me. I always have recommended EPIC Primary Care. The staff along with my physician, Dr. Ted Naman are very genuine and professional. Will never go anywhere else! I love Barb Dalziel and Dr. Shannon! They are so warm, personable and knowledgeable. I feel so fortunate to have a place like EPIC MD so close to where I live. There were many people in the new remodeled waiting room when I got to my appointment last Monday, but I was taken care of promptly and very courteously. Everyone I encountered was upbeat and professional. As usual I enjoyed my visit with Dr. Ted. He is such a good listener and very practical with his suggestions. EPIC has a new system in place which is quite impressive… gives the patient more time with a professional and gets things done! I have sent 22 friends, colleagues and associates to this practice because they are the best. Everyone is caring, considerate and professional. They are knowledgeable and cutting edge in treatment modalities and current trending in medicine. Good- organized, I was in/out in 40 minutes- including lab draw. Very good practice. No long waits to schedule appointments. I have seen most of the doctors in EPIC and have found them to be understanding and competent. Dr Ted is an excellent physician! I know I’m in good hands there. Outstanding service from sign in to treatment and overall care.